My kids have all unwittingly chosen their favorite authors at one point in time. At a young age, they aren’t actually choosing an author but stating their preference for ‘that kind of book’. Those preferences allow me to find more books that will interest them. Author studies are a great way to explore more literature. Kids are more likely to read a book that is somehow familiar to theme – whether by a related theme or style. I often entice my kids to try a new book by saying “You enjoyed that book and this one is by the same author”. 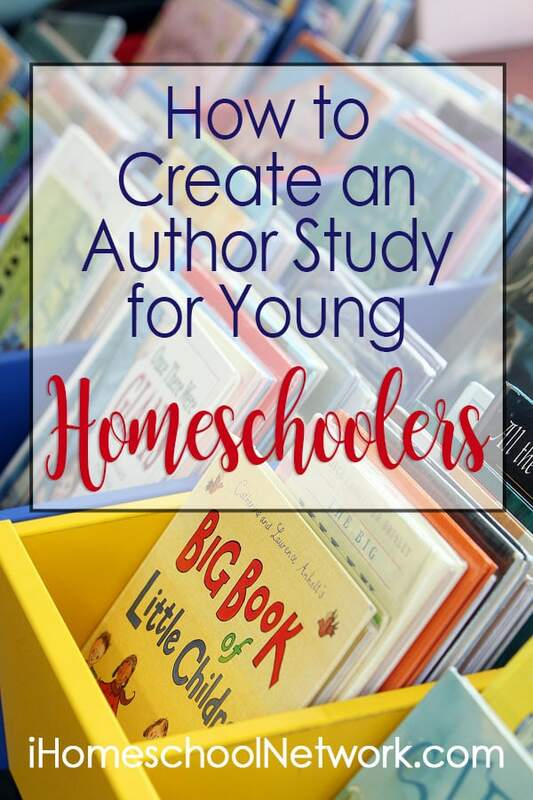 We also tend to use author studies if we are in a bit of a homeschool rut. Taking a week off for an author study is a great way to loosen up, enjoy the learning process, and snuggle on the couch while reading. Why Try Author Studies with Young Kids? Author studies are popular with older kids who can compare and contrast different styles and techniques. However, author studies are great for young kids as well. Choose an Author. Start with an author you are familiar with or whose style you already enjoy. Take some time to learn details about this author such as where they were born or any events that may have had an impact on their life. Young children may appreciate relating to their favorite authors. Borrow or purchase a few of their books. We like to read a good selection of books from the author we are studying so try to get as many as you can. If they have more books than we can read I try to pre-read the books and choose the ones that I think my kids will enjoy the most. Plan activities to go with the books. These activities should be based on whatever works best for your family. Perhaps a related field trip, movies, crafts, printables, recipes, or games. Pinterest is a great place to search for ideas to match certain books or authors. Find other related resources. Search for the author’s website or look on YouTube for more resources. You may be able to find interviews with the author or a video of them reading one of their books. You can check their speaking schedule and see if it will be possible to meet them. Read and enjoy. Make sure to keep the whole process simple and not stressful. It’s easy to get caught up in all the activities and crafts that are out there. But try to just enjoy the process. It’s easy to get stuck when trying to think of your favorite picture book author, so I’ve compiled a short list of great authors. Of course, there are many other great authors not mentioned here so peruse your library for more options. If you aren’t quite ready to create your own or want to see examples of ones that are already put together, I’ve found a few great examples.